The sky is the limit with this expansive property, designed by award-winning architect and AIA Fellow, Philip Durham. This design studio could be easily converted to an event space, restaurant, creative incubator or the business you’ve always dreamed of starting. 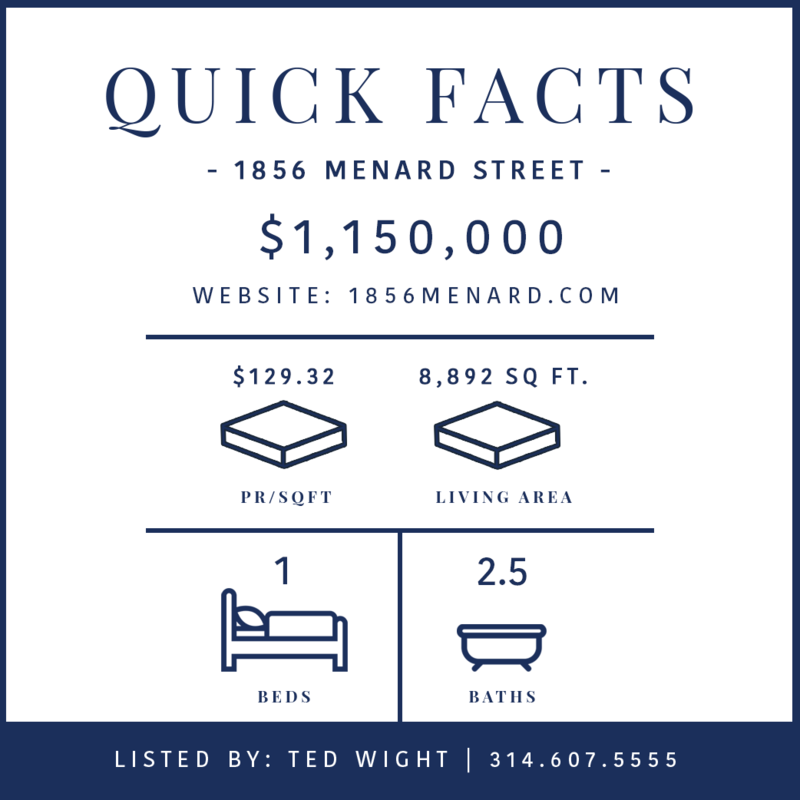 The historic 1880’s property is located on a quiet, non-through street in Soulard and boasts an exquisitely designed lofted living space on the second floor. This loft space features an open kitchen with custom cabinetry and bar area, and two full bathrooms. Unique design features include the original pulley elevator, over-sized windows, exposed beams and brick walls and rotating wood burning stove. A wall of windows on the east side of the building reveals an urban private outdoor patio overlooking a serene Japanese garden in the side lot. This location also features a workshop, 1 car garage and 4 off-street parking spaces. A must-see for empty nesters looking for an urban retreat or to start their next career or business.